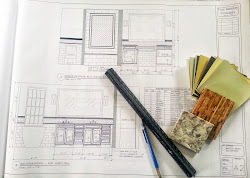 True Identity Concepts: Remodel, Replace, or Simply Organize? 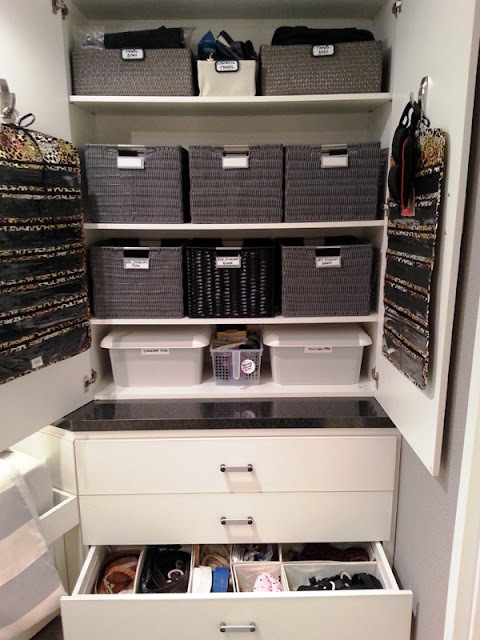 Remodel, Replace, or Simply Organize? 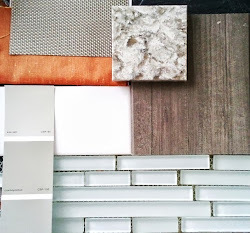 I love renovating kitchens and baths and creating new spaces by selecting new furniture and finishes. It is the best case scenario to be able to start the process of organizing a space when everything is stripped down to the bones. 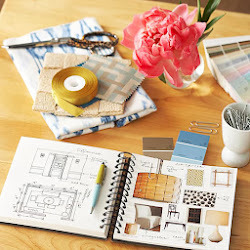 However, not everyone is unhappy with their environment and sometimes all a client wants is a little organization to keep their memories in tact. 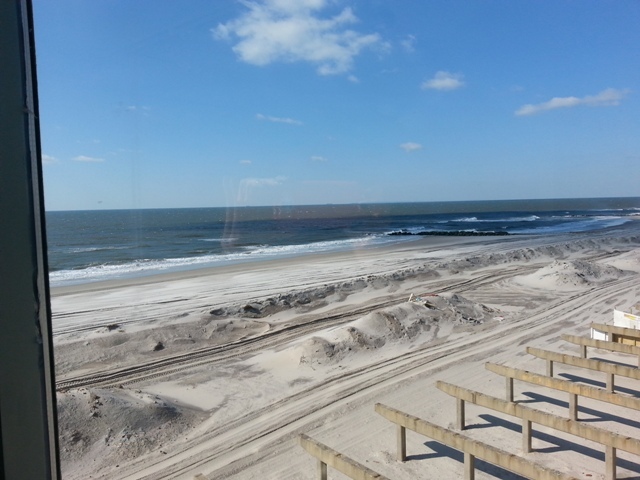 Recently, a good client's mother was displaced due to the impact of hurricane Sandy. 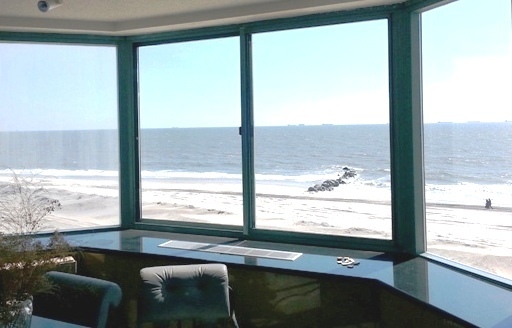 Her beautiful condo sits on Long Beach, NY where the views are amazing. I too would be anxious to get back into a home that literally overlooks the beaches with no other homes to distract from these amazing views. That's where I come in. Can I manage to overlook the need to remove and replace? You betcha! 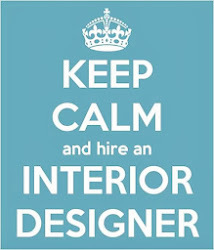 Not every space is going to be ready for the cover of House Beautiful, Elle Decor, or Dwell magazine but that doesn't make a living space any less desirable for the client who simply needs a designer to come in and make their small storage areas more functionally organized. 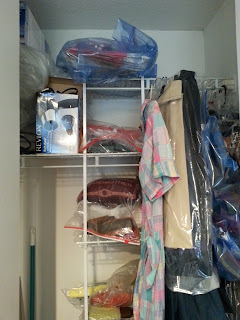 Quite a few shopping trips were needed for organization bins, hangers, pullout kitchen storage, and bathroom accessories. I'm laughting because the folks at Home Goods and the Container Store now know me by name. Although I have made purchases from additional retailers, these two stores have provided the most appealing and wide variety of solutions that fit the functional aesthetic that I needed for this space. Anyway, let's not talk about shopping and take a sneak peak of the bedroom armoire storage solution for this hip and stylish traveling woman who recently turned 80. A variety of light weight bins were placed to house jewelry and cosmetic travel bags, It's important to remember the extra weight of the bins once they are filled. Labeling the bins creates a visual reference for the items to be found...and more importantly placed back into their new home. 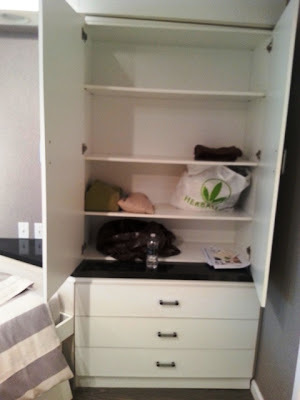 Plus, those amazing Command hooks added well needed hanging storage that does not damage furniture or walls; yet, they provide visible storage areas that are easy to reach. 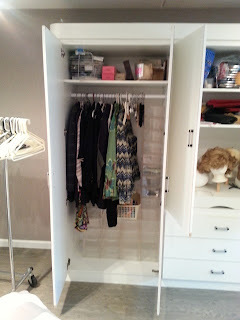 So many more storage solutions are in the works so stay tuned for more space updates at this amazing beach side condo!